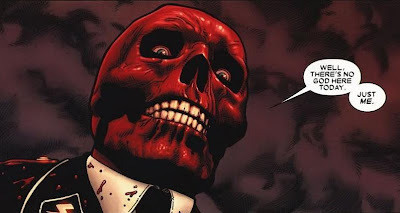 It's not like anyone could take his place, but it's great to hear through SuperheroHype that director Joe Johnston has confirmed The Red Skull will be the villian of The First Avenger: Captain America. Now they just need to cast Daniel Day Lewis in the role - and it will be a stroke of pure (evil) genius! Daniel Day Lewis, really? Can't quite see him as the Skull. Yeah, he's good but D.D.L is still my pick - just thinking of his cunning and inhuman views within There Will Be Blood in a German accent, sets the whole role off. Still this is the best part I reckon - thinking on who they'll choose then seeing the result! I mean how many fans had Ian McKellan as their first choice for Magneto?